I originally was offered the opportunity to review the Gorton's Seafood...and I initially said to myself no way. If I'm barely a fan of seafood in general how am I going to enjoy a normal grocery brand verse something from the deli. However then Kevin said he would definitely give it a go as he misses out on a lot of the seafood he once had more frequently (before we were married). 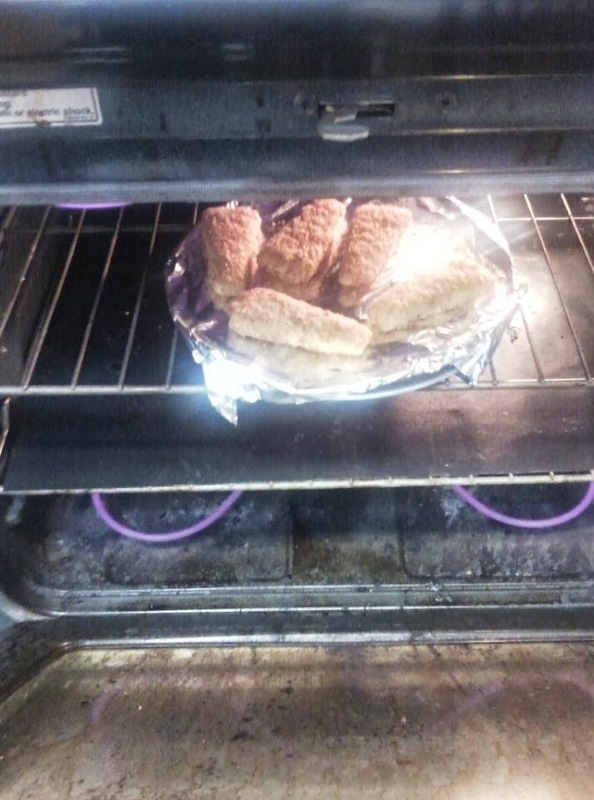 I was sent over several coupons which I used to buy the Gorton's Fish Sticks and Crispy Battered Fish Sticks, I am a woman who loves to cook each day for my family but lets be realistic there are those days where I barely feel like turning on the microwave let alone the oven. 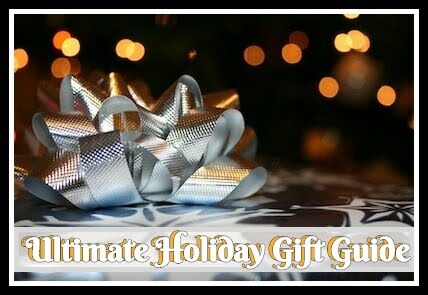 Those are the days I look for something that is still healthy, something the kids will love, and something simple for me to make without breaking the bank. These can be easily all tossed in the oven together (which Kevin does frequently) to make a quick sampler dinner. Both Alana and Declan (my youngest) gobbled them up for dinner one night that I was away from the home. Declan in fact asked for the fish sticks pretty frequently afterwards so I was pretty happy to find something he enjoyed so much. Dane being the pickiest eater of all thought they were terrible and too fishy for his liking so on the seafood nights, he and I stuck together on something else. Kevin has already asked me to go back and buy more of the fillets from the grocery store as he really enjoyed this change up and the quality! Recommendation: Yes definitely try these especially if you haven't before. 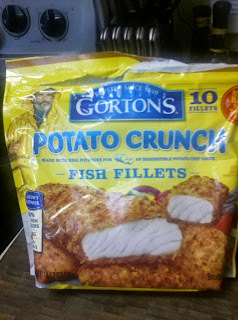 I have been familiar with Gorton's Seafood in the past but now is a great time to share these with your family all while maybe making your day a little easier. You might even get a few minutes at the end of the day to do something for yourself (wishful thinking of course)! 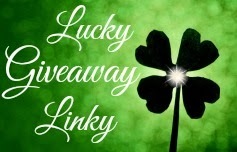 Giveaway: Gortons Seafood is going to give one of A Lucky Ladybug's lucky readers three $2 off product coupons, 1 Gorton’s-branded ship wheel key chain, an assortment of Gorton’s recipe cards and beautiful seaside/Gorton’s postcards of their own! I'd get the Garlic Butter Shrimp Scampi. Fish Sticks dipped in tartar sauce and served with plenty of cold beer. Fish sticks...I can get my 7yo to eat them! Fish fillets any way for us! I would like to try their Fish Sandwich Fillets. 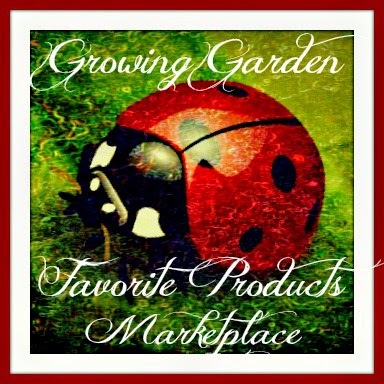 I love your great reviews and giveaways. I usually get the beer-battered fillets. I love the Classic Grilled Shrimp. I would use these on some beer batter fillets. I would get Butterfly Shrimp or Fish Sticks. I think my kids would really like the tenders and the fish sandwich fillets. I would use the coupons on the shrimp scampi. I'd buy the Fish Sticks. I would try the Cajun Grilled Fillets. I would buy the Beer Battered Fillets. I think I would get the fish sandwich fillets. Those would make a great afterschool snack for my daughter. Maybe even a weeknight dinner. I would use them to buy the Skillet Crisp Shrimp. I'd buy the classic fish sticks. I would use the coupons on the fish sticks--kids like simple foods and taste great. I like your website, but I would use more space for the content/text and less space for the bright green clover background on the right and left. It seems the focus is on the background. We love the Gorton's Skillet Crisp Tilapia -- we have some in the freezer now, but definitely need more! My children love their fish sticks. 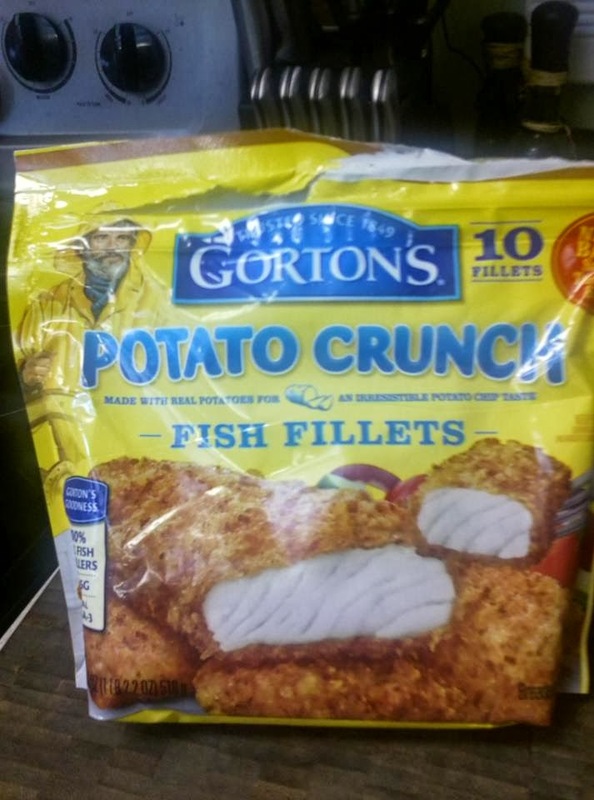 I would buy Gorton's Crunchy Fish Fillers. Popcorn Shrimp and Potato Crunch would be my Gorton's items of choice! I would get the crunchy breaded fish fillets! i dont have any complaints about your blog! I really love the layout and how was easy to use everything is!